Sheikh Ahmed Salim Swedan. [Source: FBI]Al-Qaeda leader Sheikh Ahmed Salim Swedan is allegedly arrested in Methadar, a slum region of Karachi, Pakistan. 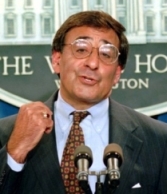 Swedan, a Kenyan, had been wanted for a key role in the 1998 US embassy bombings (see 10:35-10:39 a.m., August 7, 1998). The slum area where he is arrested is said to have been used by al-Qaeda to ship gold and al-Qaeda operatives out of Pakistan after 9/11, and thousands of dollars, fake passports, and visa stamps are found in his house. Pakistani agents are said to have been led to Swedan by satellite telephone intercepts provided by the FBI. Neighbors will later claim to have seen Swedan taken away, but both the US and Pakistani governments deny that he has been arrested. [Daily Times (Lahore), 9/9/2002; Asia Times, 9/11/2002] His name is not taken off an FBI wanted list years after his alleged arrest. In 2007, Amnesty International and other human rights groups will claim that he has been secretly held by the US or renditioned to another country (see June 7, 2007). In 2008, counterterrorism expert Peter Bergen will conclude based on various reports that Swedan was renditioned by the US from Pakistan in 2002. 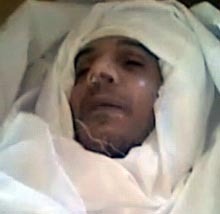 [Mother Jones, 3/3/2008] However, reports of Swedan’s capture appear to be incorrect, because later reports will say that he is killed in a CIA drone strike in Pakistan in 2009 (see January 1, 2009). If so, it is unknown who neighbors say they saw captured on this date. 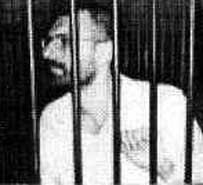 A surveillance photograph of Hassan Mustafa Osama Nasr. [Source: Central Intelligence Agency]The CIA kidnaps an Islamic extremist who previously informed for it in Milan, Italy. The man, Hassan Mustafa Osama Nasr (a.k.a. 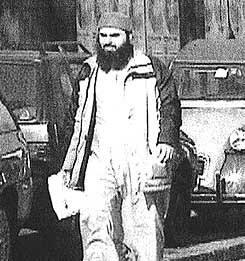 Abu Omar), who was a member of the Egyptian terror group Al-Gama’a al-Islamiyya and was close to al-Qaeda, provided information to the CIA in Albania (see August 27, 1995 and Shortly After) and operated in Italy (see Summer 2000). [Chicago Tribune, 7/2/2005] While the kidnap is happening, one of the CIA officers involved in the operation, Robert Seldon Lady, is having a meeting on the other side of Milan with Bruno Megale, head of Milan’s antiterrorism police service, DIGOS. The meeting’s purpose is to allow Lady to keep an eye on Megale in case something goes wrong. [GQ, 3/2007 ] The US will say that Nasr is a dangerous terrorist and that he once plotted to assassinate the Egyptian foreign minister. However, Italian officials, who were monitoring him, will deny this and say his abduction damages an intelligence operation against al-Qaeda. A senior prosecutor will say, “When Nasr disappeared in February , our investigation came to a standstill.” Italian authorities are mystified by the kidnap, as they are sharing the results of their surveillance with the CIA. Nor can they understand why Egypt wants Nasr back. When Nasr reaches Cairo, he is taken to the Egyptian interior minister and told that if he agrees to inform again, he will be set free. However, he refuses and spends most of the next 14 months in prison, facing “terrible tortures.” The Chicago Tribune will ask, “Why would the US government go to elaborate lengths to seize a 39-year-old Egyptian who, according to former Albanian intelligence officials, was once the CIA’s most productive source of information within the tightly knit group of Islamic fundamentalists living in exile in Albania?” One possible answer is that he is kidnapped in an attempt to turn him back into the informer he once was. The kidnapping generates a substantial amount of publicity, leading to an investigation of the CIA’s practice of extraordinary rendition, and an Italian official will comment, “Instead of having an investigation against terrorists, we are investigating this CIA kidnapping.” [Chicago Tribune, 7/2/2005] Arrest warrants will later be issued for some US intelligence officers involved in the kidnapping (see June 23, 2005 and After). Al-Qaeda leader Hassan Ghul is secretly transferred from US custody to Pakistani custody. The Pakistani government will later release him and he will apparently rejoin al-Qaeda. In early 2004, Ghul was captured in Iraq and put in the CIA’s secret prison system (see January 23, 2004). He became a “ghost detainee” because the US refused to admit they even held him. In 2006, the Bush administration decides to close most of the CIA’s secret prisons and transfer most of the important al-Qaeda prisoners to the Guantanamo prison. But Ghul is given to the Pakistani government instead, apparently as a goodwill gesture. According to a 2011 article by the Associated Press, “[T]he move frustrated and angered former CIA officers, who at the time believed Ghul should have been moved to Guantanamo along with 14 other high-value detainees” (See September 2-3, 2006). The ISI, Pakistan’s intelligence agency, promises that it will make sure Ghul is never released. But after only about a year, Pakistan will secretly let Ghul go and he apparently will return to working with al-Qaeda (see (Mid-2007)). [Associated Press, 6/15/2011] Ghul is given to Pakistan even though he is linked to a Pakistani militant group supported by the ISI, Pakistan’s intelligence agency, and the ISI had a history of protecting him from arrest (see (2002-January 23, 2004)). Also, Ghul is released even though he told US interrogators key information about Osama bin Laden’s courier that will eventually prove key to the discovery of bin Laden’s location (see Shortly After January 23, 2004 and Late 2005). Civil Liberties Advocates Celebrate Verdict - Civil liberties correspondent Daphne Eviatar calls the decision “a huge victory, not only for the five victims themselves, but also for many civil liberties advocates.” Former civil litigator and columnist Glenn Greenwald calls the government’s position a “radical secrecy theory” that should have been repudiated in its entirety. “Today’s decision is a major defeat for the Obama [Justice Department]‘s efforts to preserve for itself the radically expanded secrecy powers invented by the Bush [Justice Department] to shield itself from all judicial scrutiny,” he writes.